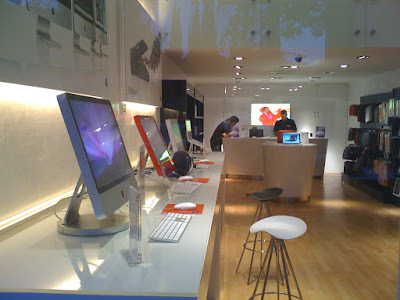 ..see about becoming an authorized Mac reseller in Erbil. Imagine Hawleris (and others based in Kurdistan/Iraq) not having to go to an outside country to have their iPods, iPhones (they exist here) or MacBook Pros serviced. Imagine buying an item complete with the 1-year international warranty! Wouldn't there be some people who would make the choice to become Mac-users? One of our students turned up in the library with a Mac Air laptop yesterday. It seems she had a relative in Germany buy it for her and bring it back. Photo below is of a new location in Beirut near where I traded in mine. ...start the flagship Iraqi branch of a coffee shop franchise near a university. Of course it would prohibit shisha and only allow the smoking of cigarettes at the outside tables, would have free wireless internet and a rack with magazines and newspapers in various languages. And if anyone even so much as thought of engaging in inappropriate behaviour (ex. taking photos of female customers without their prior consent), they would be publically humiliated and asked to leave and not return. Below photo is of Columbiano Coffee Shop in Achrefieh, Beirut - near to ABC shopping center and Kinko's copy shop. It is where I comfortably spent most evenings this last trip to Beirut. ... open a steak house (who doesn't occasionally like a good steak tender enough to eat rare should they so desire?). Of course it would come complete with tacky decor (fake cowhides, cowboy hats, wooden fencing, string ties for the staff...) and frosted beer glasses. This could be located on Gulan Street en route to Ankawa. This photo is actually one I took (not stolen from the internet). 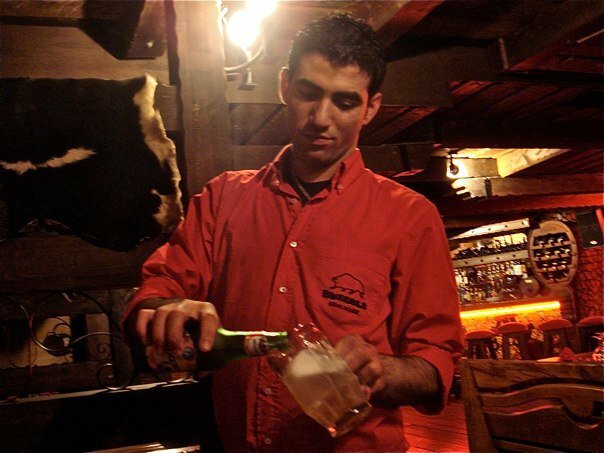 It is of Buffalo Steak House in Beirut... It had soggy overcooked veggies, but good potatoes and fantastic steak. 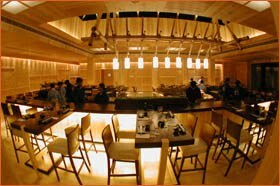 .. or, and most impractically, open a sushi bar. This will have to happen once there is cheaper and more frequent air transport into Erbil so that I can have daily fresh fish. Also not sure where I will find a Japanese sushi chef willing to work in Erbil. But wouldn't it be fantastic to be able to enjoy fresh fish and a little tempura every now and then? Below is Le Sushi Bar in Achrefieh, Beirut. My first stop after my hotel on this trip recently past.